Samsung are testing out their new Samsung Pay mobile payment system on smartphones in South Korea at the moment, the service is expected to launch in the US and South Korea next month. 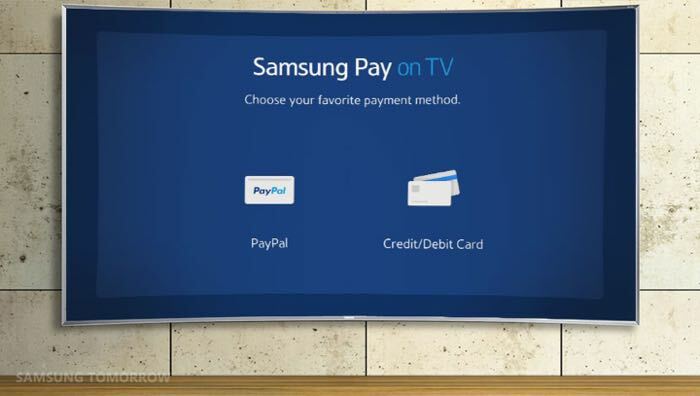 Now Samsung has announced that Samsung Pay will also be available on their range of Smart TVs and the service will support major credit cards and also PayPal on their range of TVs. The payment service on Samsung Smart TV was designed from scratch to provide an easy and safe payment experience specifically for the TV. It supports major credit cards, debit cards, PayPal as well as other mobile billing options. The beauty of it is that in most cases, users can complete a payment in just three steps after the initial registration setup. First, choose the item you want to purchase. Then simply press the ‘Pay Now’ button, and enter the PIN (Personal Identification Number). That’s it! Samsung have said that Samsung Pay will be made available on their range of 2015 and 2014 Smart TVs, the service will launch in 32 countries, you can find out more details at the link below.